Even in physical retail, consumers are drawn to digital experiences. For merchants looking to keep up with consumer expectations in the digital age, in-store technologies have become a key investment. Luke Wilwerding, director of retail solutions at Elo, shares insights on the growth in e-commerce and how this has pushed physical stores to connect the two channels. While much is made of online retail, most transactions still take place in-store. But even in physical retail, consumers are drawn to digital experiences. For merchants looking to keep up with consumer expectations in the digital age, in-store technologies have become key investments. Elo knows a thing or two about in-store tech. Founded in 1971, the California-based company has a long history of innovation, including, Wilwerding said, a major part in the invention of touchscreen technology. Fast forward to today, Elo has brought a number of different types of touch technology to various markets, including industry, medical, hospitality and retail. To date, said Wilwerding, Elo has seen over 20 million installations of its touchscreen products in over 80 countries worldwide. In the case of retail, Elo’s technology works to bring about digital in-store experiences for brick-and-mortar retailers. There’s the hardware — the digital signage, self-order kiosks, touch POS and mPOS offerings, as well as the company’s SaaS platform that brings it all together. Elo’s platform removes the complexities of launching digital systems in stores. Additionally, retailers can take existing Android-based mobile apps and integrate them into Elo’s touch hardware. Though digital signage has been on the market for years, said Wilwerding, recent advances in tech and Elo’s offerings are enhancing the in-store experience for customers and increasing ROI for retailers, as well as boosting their in-store consumer data. While retailers look to Elo for multiple sources of in-store digital and touch integrations, Wilwerding noted that the primary driver for many retailers are endless-aisle capabilities. As consumers adjust to the scale of online shopping experiences, the limited inventory space of physical retail can mean retailers miss out on sales. Wilwerding gave a recent, personal example in which he walked into a sporting goods store to find a certain item, but it wasn’t in stock in his size. Elo doesn’t only solve for physical stores looking to upgrade their technological offerings; it also enables digital natives to branch out into brick-and-mortar and to bring their entire inventory with them. 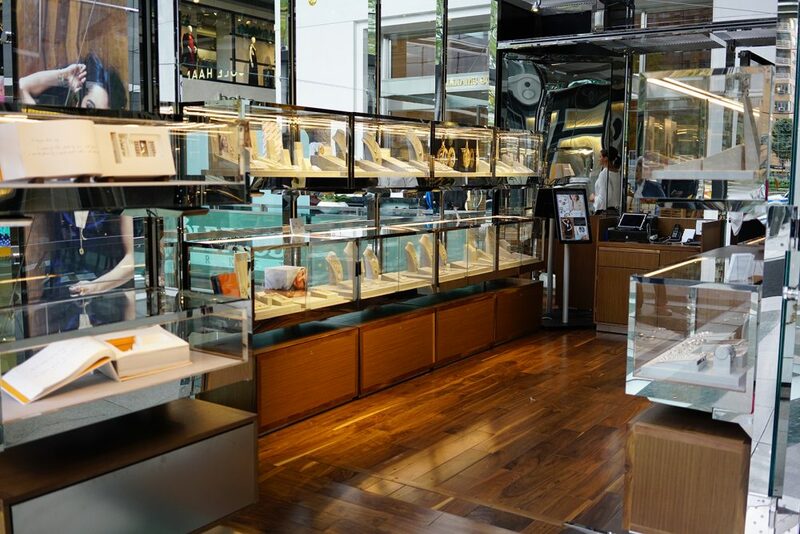 An example can be found in high-end jeweler Monica Rich Kosann, said Wilwerding, who recently leveraged Elo’s touchscreen technologies in the opening of its first brick-and-mortar store. The jeweler has a large online presence, said Wilwerding, which made endless-aisle functionality an essential component in its move to physical retail. By introducing Elo’s technology, Monica Rich Kosann was able to deliver its existing eCommerce assets to the store location, giving customers the opportunity to open up the online world in-store through an interactive, consultative, assisted-selling approach. The need for physical retail to integrate technology into in-store experiences is only becoming more urgent as newer generations of shoppers come of age.